Note: Only paid accounts can export. You can export your shift information to be used by other programs. 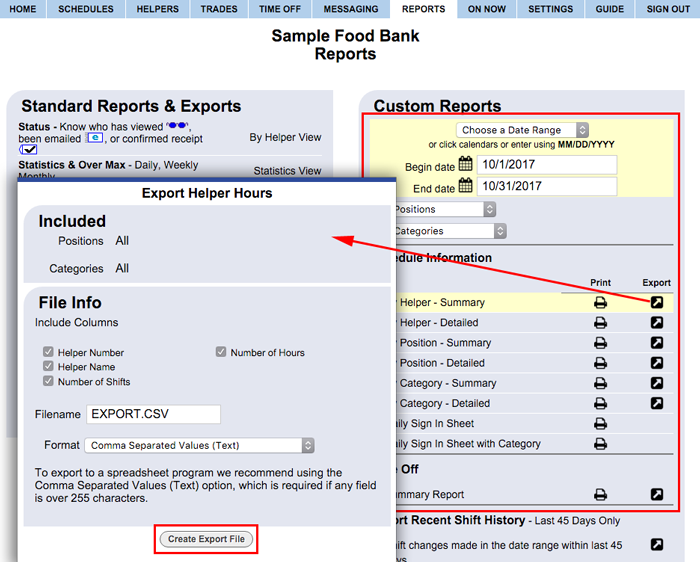 Exporting can be done from any Schedule View or use the Reports section where you can set your desired date range and have a selection of export report formats. Various file formats can be chosen in the Export window.